Stress can be at an all-time high during the holidays, but it doesn’t have to be that way! This season, enjoy moments of personal reflection and gratitude with one of our new blends, Higher Unity™, and Sacred Frankincense™ essential oil. Also included is a one-of-a-kind Young Living glass diffuser ornament. Diffuse Christmas Spirit™ in the kitchen while baking with Nutmeg Vitality™, a seasonal favorite. 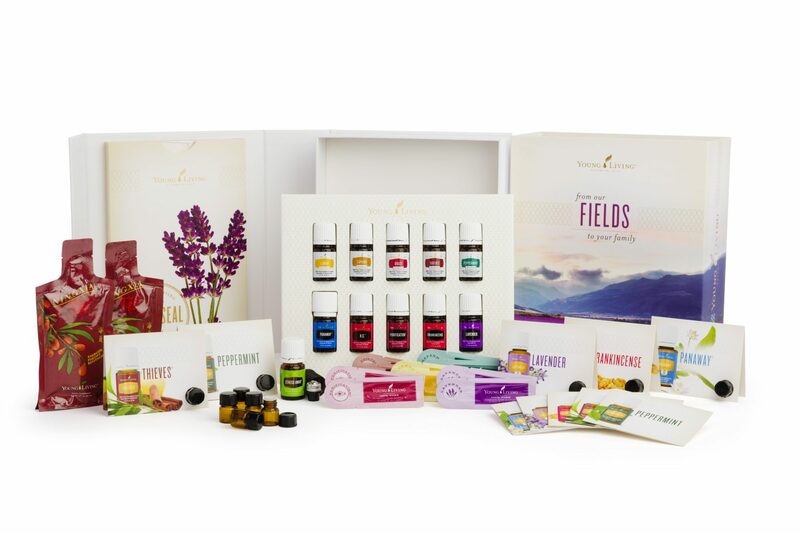 Be ready to create a season filled with peace, loved ones, and new traditions with the Young Living November 2018 PV Promo! care and creates a sense of unity with others. deepen your spiritual enlightenment with Sacred Frankincense during prayer, meditation, or relaxation. and add it to your holiday traditions. reflection to those around you. fragrance of Northern Lights Black spruce essential oil directly from the bottle. with this classic holiday spice. 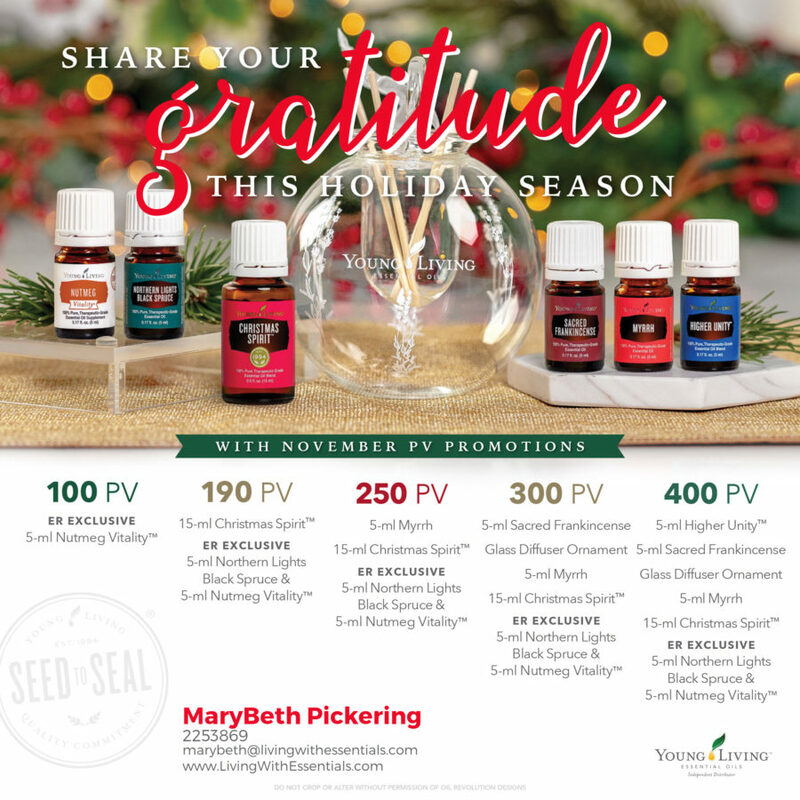 Feel like sharing your gratitude this holiday season with the Young Living November 2018 PV Promo but don’t know where to begin? 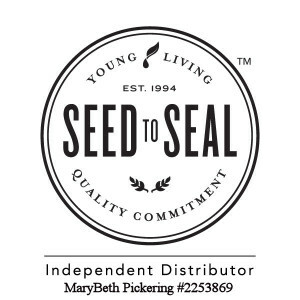 Not already a Young Living Member? Find out how you can get the Young Living November 2018 PV Promo! If you are just looking to add 300 PV to your 100PV from the Premium Starter kit, I highly recommend the NingXia Red Essential Reward kit, a bottle of the Thieves Household Cleaner, and your choice of 100 PV in products. The 100 PV in products is a great opportunity to start using Savvy Minerals makeup, the KidScents line, Seedlings line, or other personal care products. With this combination, you will be at the 400 PV total so you can get all the freebies from the Young Living November 2018 PV Promo for a total around $469.50 plus tax and shipping depending on which diffuser and products you go with for the Premium Starter Kit. This is such an awesome value and what better to invest in other than your health and the health of your family! 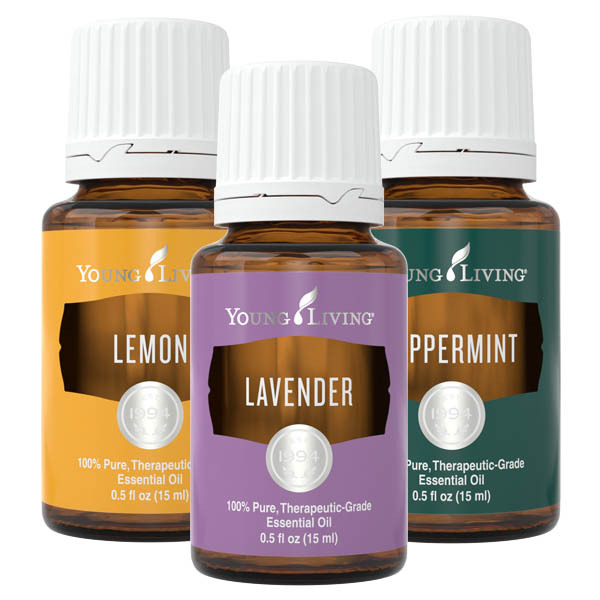 Bookmark this article Share Your Gratitude this Holiday Season – with the Young Living November 2018 PV Promo! Find Joy and Comfort this Season – with the Young Living December 2018 PV Promo!